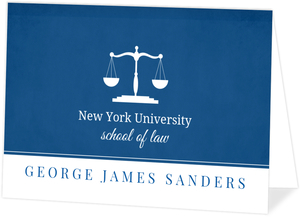 Just like medical school, law school is a huge accomplishment, and deserves a grand party in recognition. 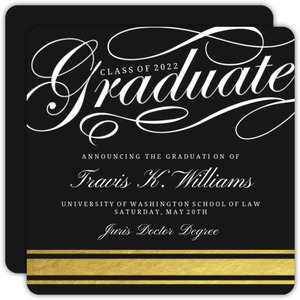 PurpleTrail wholly recommends finding cards that allow you to customize them into something unique and fitting for your celebration. 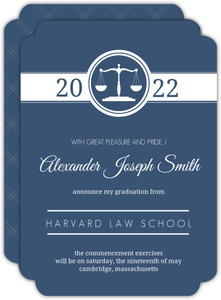 Standard cards just won't do. 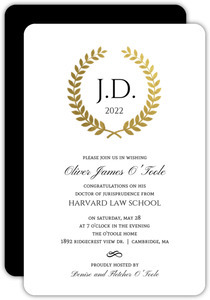 Standard people can't make it as far as you did, so celebrate properly, and invite your guests accordingly. 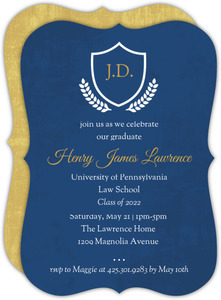 Let them know this is going to be one hell of an occasion. 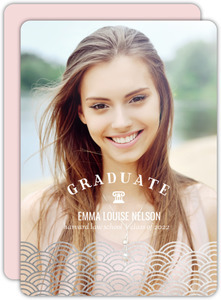 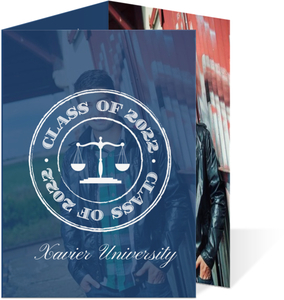 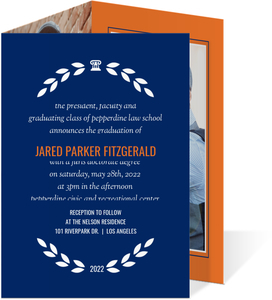 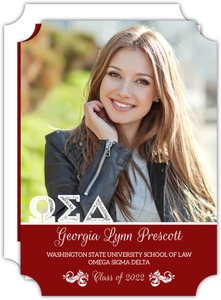 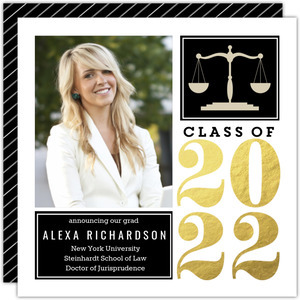 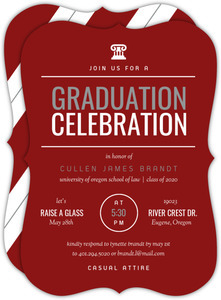 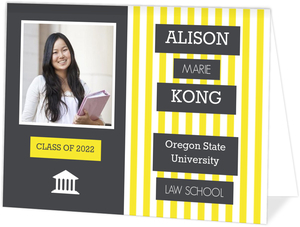 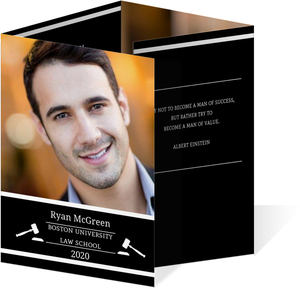 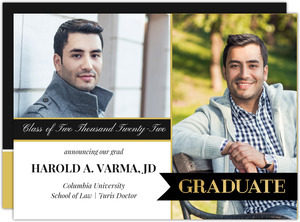 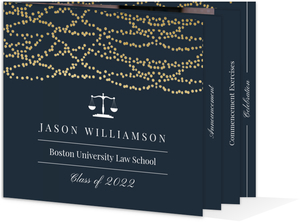 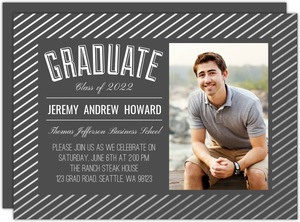 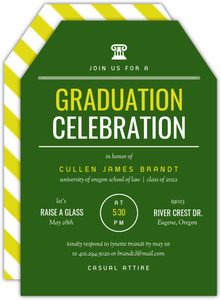 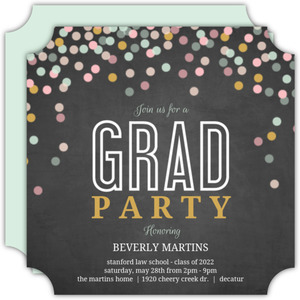 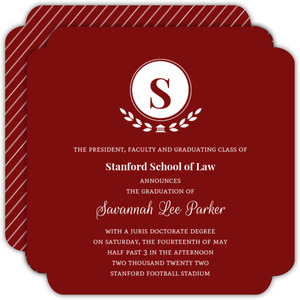 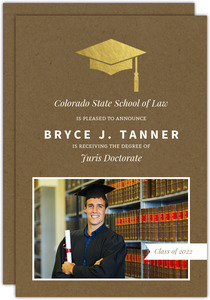 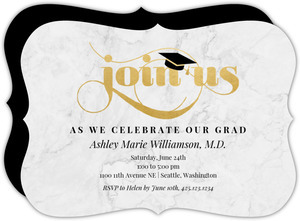 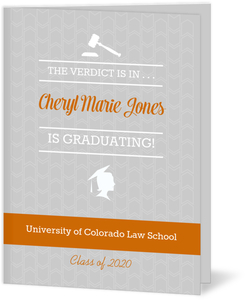 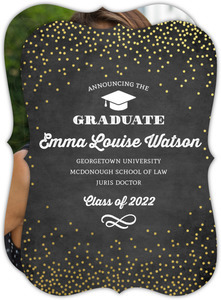 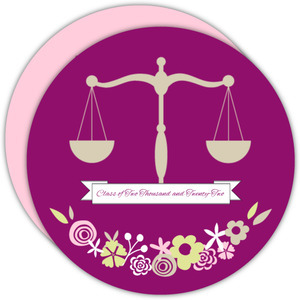 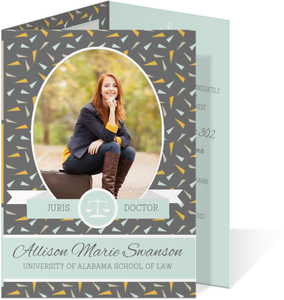 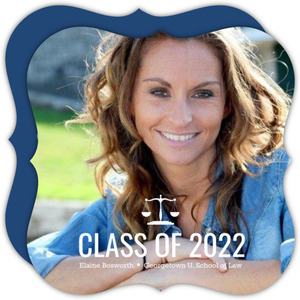 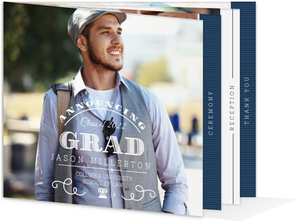 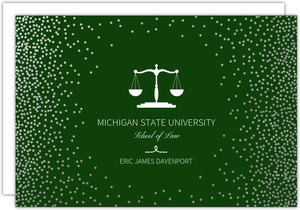 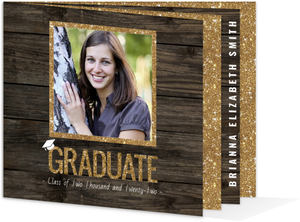 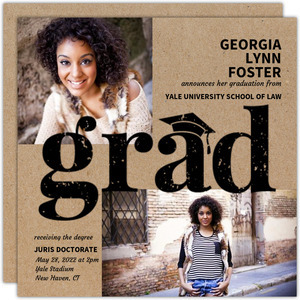 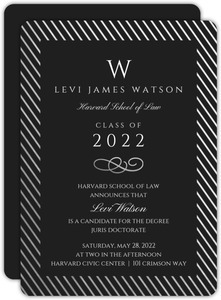 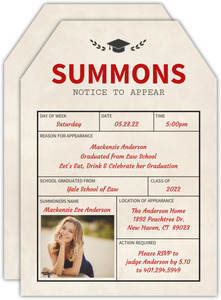 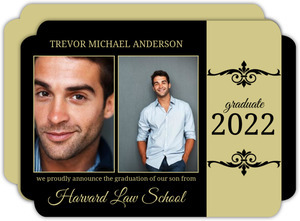 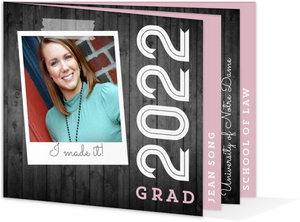 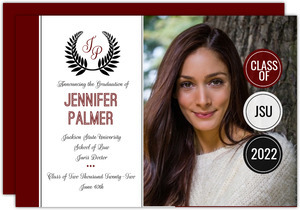 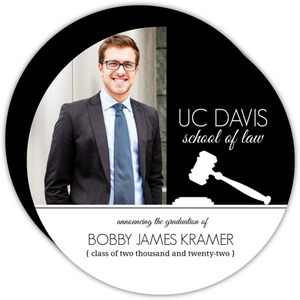 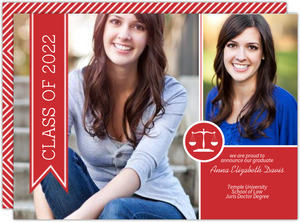 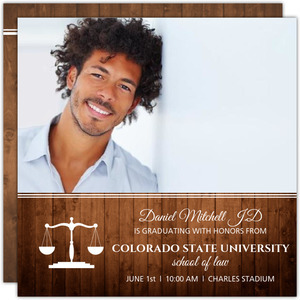 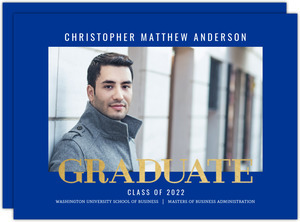 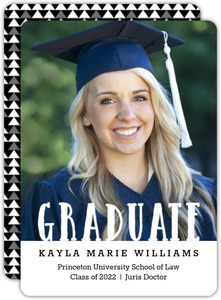 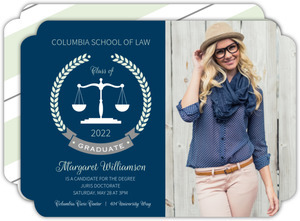 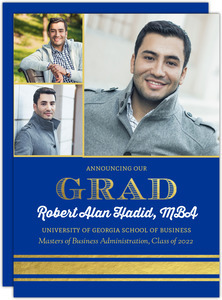 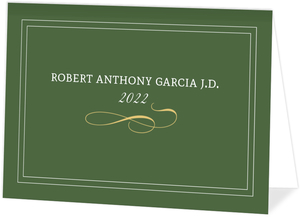 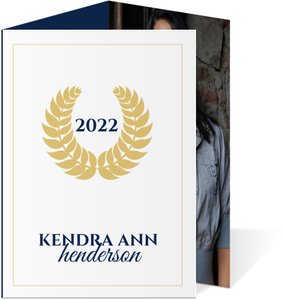 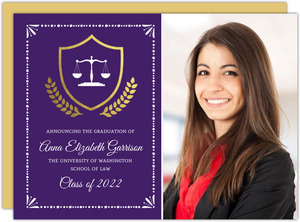 Law School Graduation Invitations can be chosen from the above to designed from scratch and styled as you please. 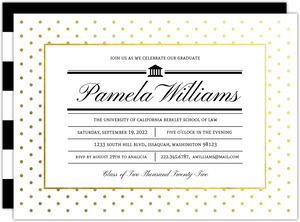 We've seen everything from Gatsby to Disco era style cards and parties so you can't go wrong! 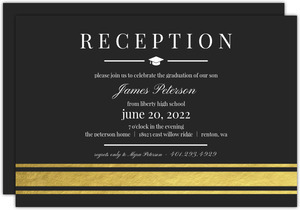 We've got a bunch of modern and/or trendy designs too, so be sure to look through them, and remember, if it isn't just right, chances are you can make it just right in the design center. 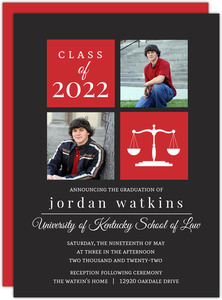 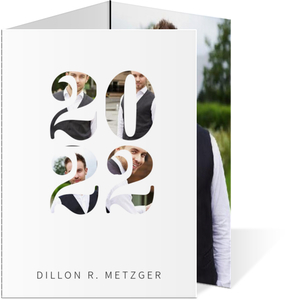 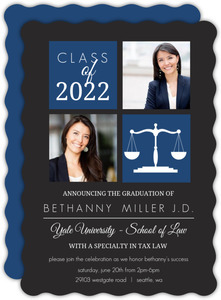 Law School Graduation Invites don't get much more custom than this without hiring a graphic designer.